Anywhere from 6 to 24 teachers attend a workshop held in a provincial office conference room or in a pre-school classroom. The workshops are designed to encourage active participation of all the teachers and provide an opportunity for them to share experiences and express expectations. The emphasis of the workshop is mainly on how young children learn and the importance of self-directed free play in the classroom. 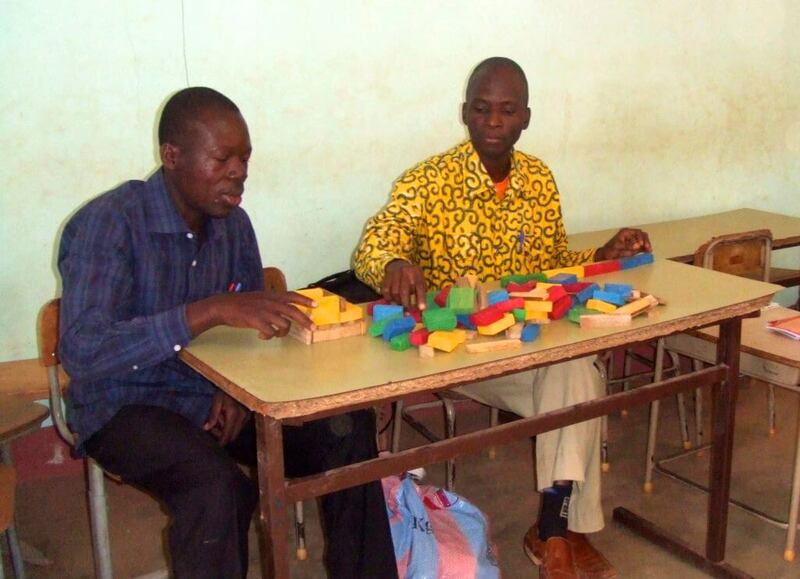 At the end of this discussion, the teachers build their own creations using the blocks thereby experiencing first-hand the educational benefits of this activity. This is followed by animated discussions facilitated by the REPT trainer about the various creations and the overall experience. 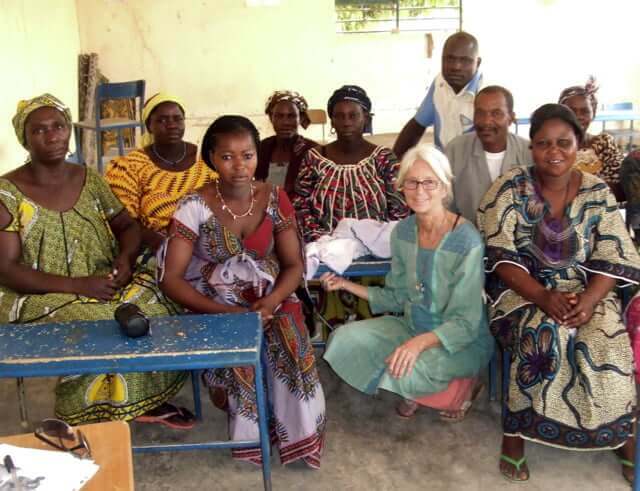 In remote areas, where many of the teachers are not fluent in French, one of the teachers acts as translator. Following the introduction of the principals of play-based learning for the preschool child in Part 1 of the workshops, teachers have the opportunity to observe young children at play with the blocks. This is a crucial piece of the training. Teachers need to see for themselves that the blocks encourage cognitive development. They need to see and experience how the blocks, by their nature, encourage exploration, observation, imagination, measurement, comparison, and understand that these skills are what children need to become competent learners. 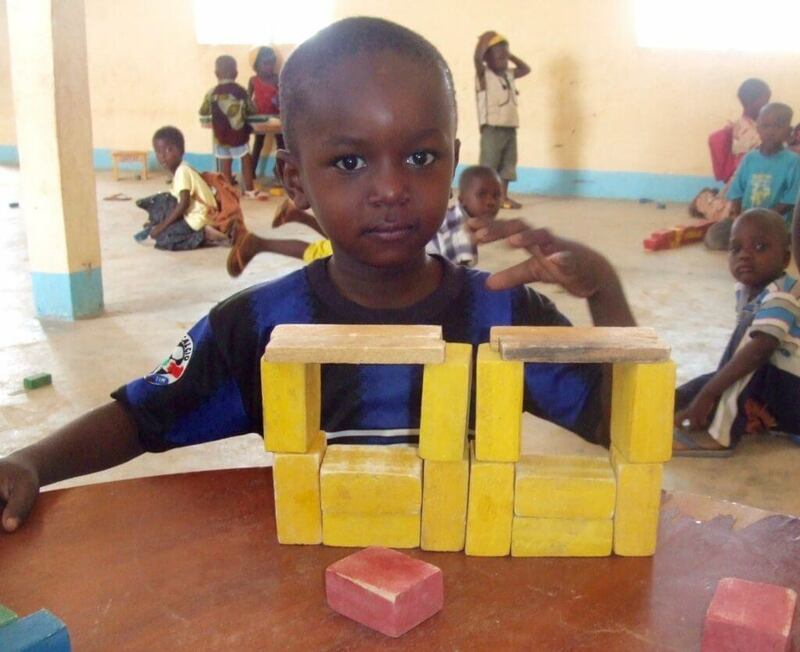 The children simply get settled with a pile of blocks and begin to play, and their brains undergo significant development, growing as a result of the complex activity offered in block play. We work with student teachers in several teacher training centres providing workshops and hands-on experience in the use of building blocks in the classrooms. The student teachers are provided with a concrete example of the material and often are inspired to produce kits for their own use when they start out in the classroom. From 2011 to 2016 all workshops were developed and delivered by Allyson Tache who is the initiator and main sponsor of the BBB Program. Supervisors and inspectors from the Burkina Faso Ministry of Education have been involved throughout. In 2017, REPT co-chair Brigitte Roussel will deliver some workshops as well. In 2016, Allyson rolled out a Manual/Guide in how to use the blocks that will enable suitably qualified individuals to be able to also deliver the workshops. This is the first step the next phase of the BBB initiative which is to “train the trainers” that started in 2016.